An internist, or internal medicine physician, is a primary care doctor who primarily sees patients in an office-based setting, in addition to rounding on patients in the hospital. Internists are typically generalists who cover a broad scope of medicine to include total body wellness, disease prevention, and management of chronic conditions and illnesses. Internists typically treat adults, some adolescents, and elderly as well. Diabetes, hypertension, and colds and flu are some of the issues internists may treat and help manage on a regular basis. Often internists may consult with specialists or refer the patient to see a more specialized physician if a serious or acute issue arises. Internists typically do not perform surgeries, although they may sometimes perform some minor office procedures such as mole removal, stress tests, or scopes. Typically internists perform physicals, manage illnesses through diet, medication, and other non-invasive methods. Due to the broad scope of their work, internists have many options of where to work and how their work is structured. Internists may work in medical offices, clinics, and hospitals, often in combination. An internist may work independently as a solo practitioner, owning and managing his or her own practice, or an internist may partner with other physicians to form a group practice in which the doctors each have partial ownership. Or, some internists may be employed as salaried staff by a clinic or hospital. Typical office hours are about 8 am to 5 pm, 4 to 5 days per week. The average internist will see about 22-25 patients or more each day during those clinic/office hours. In addition to clinic hours, an internist may also see patients in a hospital on daily rounds, or on an on-call basis. This could add 5-15+ hours per week of work, depending on the patient load and need of the hospital. If an internist is running his or her own practice, they may spend additional administrative time managing tasks on the business side of the practice. Like all physicians, internists have completed a four-year bachelor’s degree, plus four years of medical school to obtain a medical degree (M.D. or D.O.) from an accredited medical school. In addition to their extensive undergraduate and graduate education, a hospitalist also must complete several years of graduate medical education (GME) to include a one-year internship, plus 3 years of residency training. Furthermore, all internists must pass the necessary medical certification and licensing exams including all three steps of the USMLE, and any state licensing exams. Most internists are also required to be board certified in internal medicine, which is achieved by passing the oral and written board certification exams as well. Internists have a variety of options available to them due to the nature of their work. Also, as primary care physicians, many internists like the personal nature of what they do and the ability to help patients manage their well-being over time. Internists seem to enjoy having that positive impact on people’s lives on an ongoing basis. Also, because internists don’t do a lot of surgery, their liability costs (malpractice insurance, etc.) are relatively low when compared to other specialties. Traditional internists may be overloaded with balancing an office-based practice with the on-call hospital schedule of rounding on patients in the hospital, which is easily solved by working in a community which offers hospitalist services and referring all your hospital patients to the hospitalist service. Although being an internist pays well, there are other medical specialties which pay more, so if you’re looking to make $300,000 or more as a physician, you may want to consider a surgical specialty or some other more specialized medical specialty. According to the Medical Group Management Association (MGMA), the average compensation for internists is about $191,000, based on 2006 data. The 75th percentile for compensation is nearly $221,000, with the potential to earn upwards of $277,000 for the highest earners. Internists usually have about 4-6 weeks of vacation. Keep in mind that the majority of internists earn their money directly as owners or partners of a private practice, as opposed to being a salaried employee of a hospital. Internal medicine is one of the most versatile medical specialties a physician could choose, and internists have probably the most options of any physicians in terms of career paths. Internists have the option to be employees of a group, clinic, or hospital, or they may decide to open and own their own practice instead. In addition, an internist may become a hospitalist, with no additional training or education required, which offers higher pay and more days off during the year in exchange for longer hours during the days the hospitalist is working. Cardiologist: treats diseases of the heart, lungs, blood vessels and complex cardiac conditions; requires a three-year fellowship. Endocrinologist: treats diseases or conditions of the glands, hormones and other internal secretions – requires an additional two years of fellowship after internal medicine residency. Gastroenterologist: treats digestive system including stomach, liver, and intestines; requires a two-year fellowship. Nephrologist: treats kidney disorders; requires 2-year fellowship after residency. 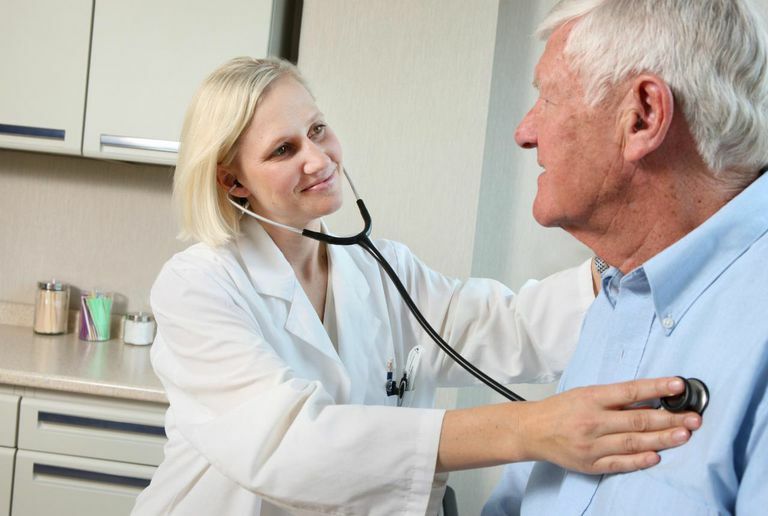 Pulmonologist: treats lung diseases and disorders such as COPD, asthma, cancer, breathing and sleep problems. Requires 2-year fellowship. Oncologist: treats cancers and solid tumors of all kinds, and administers chemotherapy. Requires 2 years of fellowship after internal medicine residency. Rheumatologist: treats disorders of joints, muscles, and bones, such as arthritis. Requires 3 years of fellowship training. Allergist & Immunologist: diagnoses, evaluates, and manages severe allergies and deficiencies of the immune system. Requires two-year fellowship. What Are the 8 Highest Paying Physician Careers?